As spring rolls around with its various music festivals and flute performances, we often talk to students about the difference between playing in a dry hall, vs. playing in an echo filled hall. 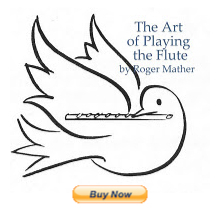 For flute, it's much the same; the faster and smoother you play in a hall full of echoes, the more the notes blur together. So when you pre-test the hall (which we can't always do, but should do whenever possible) you'll want to listen to what I call the "ring back" to hear whether you'll need to use less speed and more separation in order to sound with clarity. This especially affects tongued sixteenth or eighth notes in rapid passages; a slightly slower tempo with added "Ha!" to each note is often needed, and therefore should be practised in advance. If you practise in a very dry (non-echoey) space, you should remember that lack of resonance in a room may cause you to use "Du-Gu" instead of "Tu-Ku" and play more legato and smoothly. But as soon as you enter an echoey practise space, practise your detache! For further demonstrations how resonant spaces and even microphones affect ones perception of a performer, witness these two videos of Tchaik 1 Concerto with violinist Sarah Chang. In the second, because it's in a practise room with a roving video camera and scratchy sounding sound quality, this violin sound contains more imperfections, but is a lot more like what the player hears when they're practising. Of course, when listening on youtube we're also hearing mega-distortion from the compression, but you get the idea. 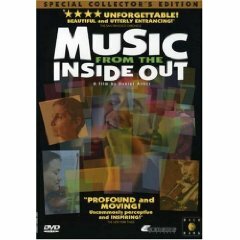 By the way, I watched the documentary "Music from the Inside Out" for the first time on Knowledge-Network TV last night, and had about nine ephiphanies. Highly recommended! There are several GREAT musicians stories in this film, and hearing them speak of "How I know I'll never reach the level of Sarah Chang" in the film (and how that's okay too.) reminded me once again just how much I enjoy Sarah Chang's ability to play so soulfully.